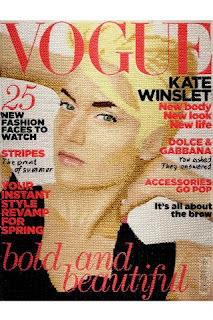 While fashionistas across the globe will, I'm sure, attest to Vogue already being a work of art, one student has taken this sentiment to its literal end. 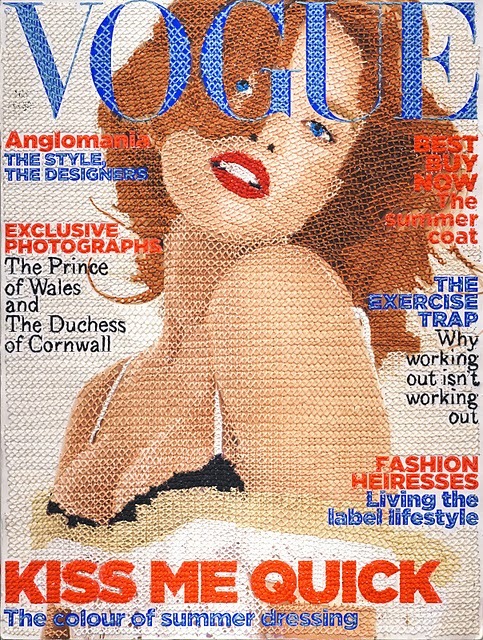 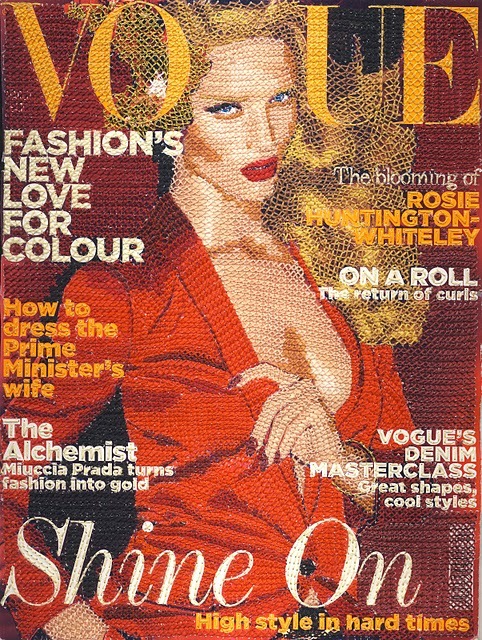 Inge Jacobson, a London-based photography student, has turned three British Vogue covers into embroideries to connect the "two feminine past times" of embroidery and fashion. Inspired by her Grandmother's work, each piece takes 40-50 hours with Jacobsen making each thread hole by hand making each piece 100% unique. 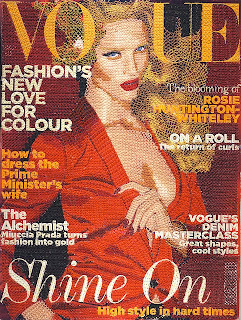 Good thing is, that if you read this in bed and fell asleep, at least you'd have a nice cosy pillow!